WALL RACING will return to the Liqui-Moly Bathurst 12 Hour after a double podium in 2018. 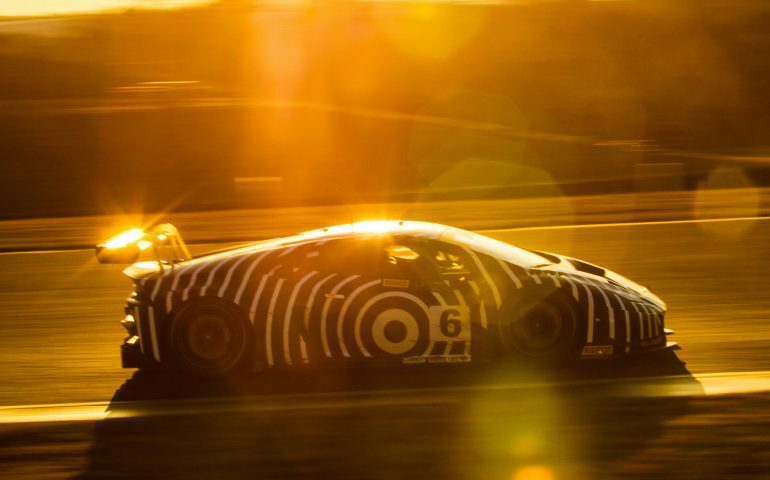 The 2019 event will see Wall Racing run the Lamborghini Huracan which was campaigned successfully by Adrian Deitz and Cameron McConville in the 2018 Australian GT Endurance championship. They will be joined by Tony D’Alberto, the current Australian GT Endurance Champion, and Julian Westwood. Westwood, who hails from the UK, is no stranger to endurance racing having won the Am-Class Blancpain Endurance Championship and achieving class victories at the Spa 24 and Nurburgring in that series. He recently finished 3rd in Porsche Carrera Cup Class at the Dubai 24 hour. This will be Adrian Deitz’s first time racing at Bathurst, having run the Challenge Bathurst in November. “After driving Bathurst for the first time in November at Challenge Bathurst I was very comfortable in the car and happy with my laps times,” Deitz said. The entry will race in the Pro /Am class however will be looking for outright results given the strength of the driving combination. “It’s great to be heading back to the Bathurst 12 Hour, this is always a great event for our team and we are looking to achieve a class podium again in 2019,” said David Wall, Wall Racing Team Owner. Wall Racing will test early in the new year ahead of the Liqui-Moly Bathurst 12 Hour on the 31 January to 3 February 2019.